According to an updated post to Apple’s App Store support page for developers, iOS 11 is now installed on 52 percent of iOS devices. 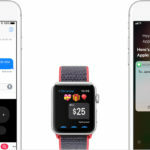 While that number seems impressive for a mobile operating system that was launched a mere two months ago, iOS 11 is somewhat lagging behind iOS 10. Last year at this time, Apple CEO Tim Cook said that iOS 10 was adopted by 60 percent of devices. The slower adoption rate for iOS 11 could be attributable to a number of factors. For instance, the operating system was plagued with several bugs very early on, which led to numerous small fixes. The update was also generally viewed as a more iPad-focused update, with fewer enticing features for the iPhone. 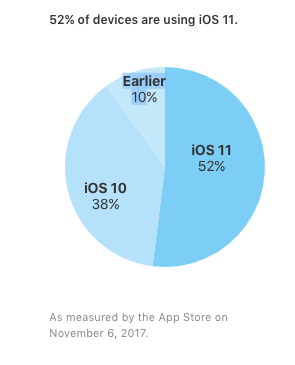 That being said, Apple is still achieving industry-leading adoption rates for their mobile operating system. In comparison, only 0.2 percent of device are running Android Oreo, which is the latest version of Google’s mobile operating system.